Diego Costa struck another late winner for Chelsea as they came from behind to beat Watford 2-1 in their Premier League clash at Vicarage Road. Etienne Capoue thrashed the hosts in front 10 minutes after the interval, only for Michy Batshuayi to come off the bench and capitalise on a poor piece of goalkeeping from Heurelho Gomes to draw Chelsea level with his first goal for the club. And it was a superb through-ball from another substitute in Cesc Fabregas which set Costa away in the closing stages, with the striker making no mistake as he fired home another match-winning goal to give Antonio Conte's side a second 2-1 success of the season. Having relied on a late Costa strike to beat West Ham on Monday, Conte's men were largely disappointing but found a way to win. Watford paraded new acquisitions Younes Kaboul and club-record signing Roberto Pereyra before kick-off, and the Hornets had the first decent chance of the game as Jose Holebas was played in by Miguel Britos and struck a low shot that was well saved by Thibaut Courtois. The visitors did look dangerous on the odd occasion and Britos did well to clear Eden Hazard's low cross away from the onrushing Costa. 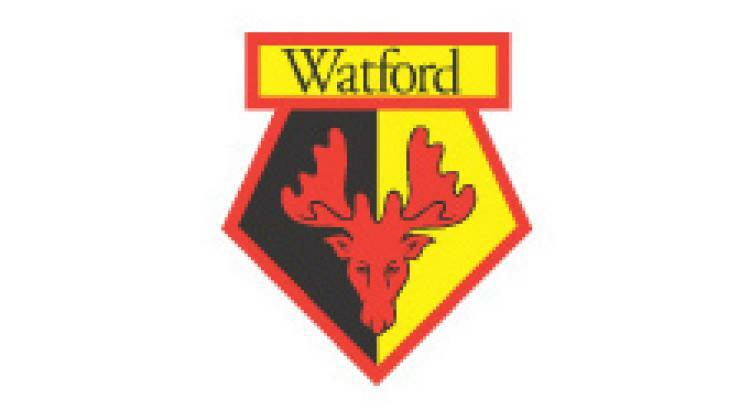 Heavy rain set in at the midway point of the first half but it would not dampen Watford's impressive start as Odion Ighalo went close, turning the impressive Nordin Amrabat's cross over the bar. The Blues started the second half with more urgency but Hazard could only balloon Oscar's tempting cross into the visiting fans behind Heurelho Gomes' goal. And they were soon behind as another direct run from Amrabat led to a throw-in which the Morocco international took quickly to find Adlene Guedioura - whose deep cross was controlled and lashed home at the back post by Capoue. But Walter Mazzarri would be denied a first win as Watford boss as Conte threw on Victor Moses, Fabregas and Batshuayi - with the latter needing just seven minutes to make an impact. He was quickest to react in the 80th minute as Gomes could only push Hazard's strike away, Batshuayi making no mistake before peeling off to celebrate in front of the visiting supporters. And the comeback was complete as Fabregas pinged one of his long passes into the path of Costa, who coolly slotted home with three minutes left on the clock. There was still time for Batshuayi to rattle the crossbar with an injury-time effort but that would have been harsh on the hosts, who matched Chelsea for much of the contest.